Hedge Fun Artist Proof, limited edition Tim Cotterill Bronze Sculpture. Tim Cotterill's Hedge Fun illustrates an adventurous hedgehog foraging for an evening snack, as a reclusive frog seeks refuge under a fallen oak leaf. 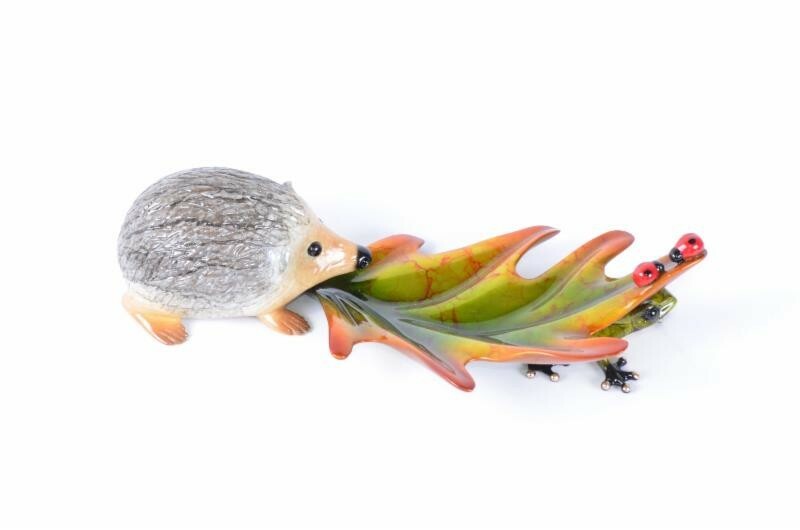 The textured autumnal leaf provides the ideal element that joins these two disparate critters into one charming sculpture. 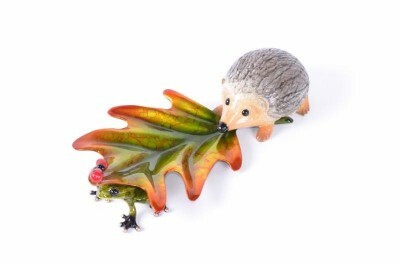 Caution ladybugs, hedgehogs have been known to munch on insects!